There was a natural swing in the country towards the UNP and its leader Ranil Wickremesinghe. The huge gap between the popularity of Chandrika, from 1994 to 1999, was due to her being unable to consolidate it in the five years she was in power. It had declined rapidly. In these circumstances, the contest between her and Ranil Wickremesinghe inevitably was a close one. The above status changed to a certain degree with the crossover of a horde of UNPers including Dr. Sarath Amunugama to the SLFP which marked the beginning of the 1999 Presidential election campaign. The United National Party’s poor performance at the 1994 Presidential election, the party becoming rudder-less since the tragic death of its leader and candidate Gamini Dissanayake, it conceded victory to CBK by a huge margin (losing the entire nation leaving just the Mahiyangana seat for it). Chandrika, first as Prime Minister for a few months, after winning the August ’94 parliamentary election by just one seat majority, and until the sudden announcement of a presidential election did little for the growth of the nation. The race began in the latter part of the same year when she announced it with only four ministers being alerted. Her decision, obviously implying there was a scheme within her government and that is why she opted for prudence about the announcement. Was it a ploy by a desperate lady? When CBK made the proclamation, the Elections Commissioner was in the hospital recovering from a heart attack. He planned to return in early November and fix the date for elections. President hastened to fix a date astrologically auspicious and favourable for her; therefore, she appointed the deputy as the acting Commissioner to accomplish the job. The acting Commissioner fixed the date as fancied by her, for December 21. Though the ground situation was far from this, according to astrologers, the number rules the day with Chandrika’s birth time having a remarkable influence on the moon, which means success assured. Both the UNP and PA were faced with the prospect of their own members campaigning for the opponent because they were pleased by the prospect of forming a National Government. 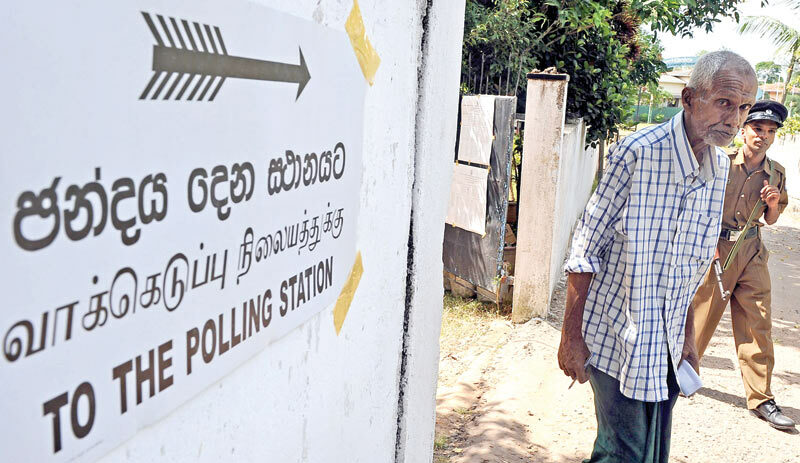 Both leaders CBK and Ranil Wickremesinghe were faced with a situation where their own party stalwarts –were also being wooed by newly formed alliances to run for the presidency as their nominee. The sudden demise of Minister Saumayamurthi Thondamann brought some relief to the opposition, they began working frantically - trying to review the number of votes the CWC leader commanded and attempting to figure how many of the block votes they could lure back to the UNP. The reasons were plentiful. Within a few days, more than 25 UNPers, calling themselves ‘Eksath Jathika Pakshaye Vikalpa Balawegaya’ (Alternative power block of UNP) including six MPs, were planning to meet CBK at Temple Trees in the presence of PA Cabinet members to form a national government with the PA. “We would not imagine even for a moment leaving the party,” Dr. Amunugama issuing a statement said, “We will work as an alternative group with the government.” However, by the following week the UNP rebels headed by Sarath Amunugama finalised matters including a meeting with the President at an auspicious time. The defectors believed that this shift of allegiance would divide the party right down the middle creating a major impact similar to the crossing over of Bandaranaike from the UNP in 1951. The planned de facto jump was favourable for CBK; it appeared that the UNP leadership was highly concerned over the development. Karu Jayasuriya, Party Chairman made a frantic effort to bring about a settlement between the two factions using his negotiating skills but was unsuccessful. He even used Bodhi Ranasinghe and Dayananda Wickremasinghe to meet the rebel and former Minister Nanda Mathew but nothing positive came out. Another emissary was sent by the leader to meet Wijeyapala Mendis and tell him that the leader was eager to meet him. But nothing had worked for the party. 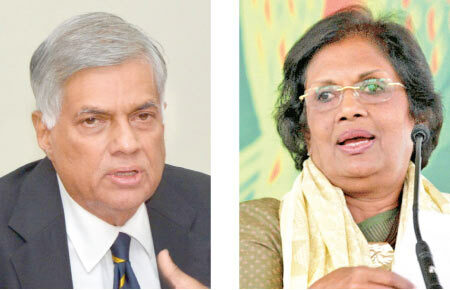 They were adamant and were determined to go along with CBK while remaining in the UNP. The UNP had only one alternative: to call for an explanation and have a disciplinary inquiry against them before sacking them. The rebels, on the other hand, can go to the Supreme Court which would take a minimum of two months for the determination, by which time, a spokesman for the rebel group said, the election would be over. It all will depend on the outcome of the presidential election. If Chandrika Kumaratunga is re-elected, it would facilitate them to prolong the plans for a national government. But in the alternative, if Ranil Wickremesinghe emerged victoriously, it is going to be a totally different story for them. The UNP rebel group which consisted of Members of Parliament, Provincial Councillors and Local Government members had customary meetings with their leaders at a secret place on Bullers Road. They were trying to persuade the former General Secretary Sirisena Cooray, also to come along with them. Cooray was out of the country and he was expected back before the presidential elections. The UNP leadership also attempted to woo him using Milinda Moragoda, who was close to Cooray. Minister Ashraff, put forward a three-point claim if he is to support President Kumaratunga; hold a free and fair election. The President should be accountable to Parliament, that she should shed all her legal immunities bestowed by the Constitution. Ashraff had ulterior motives when he put forward these demands; he knew that CBK would not accept them and that it would give the flexibility to keep his choices to see which way the winds will blow, obviously preferred to remain neutral and later glide towards where power is concentrated.